New place, new studio, new song! Here's my submission for the 2018 NPR Tiny Desk Contest. All sounds performed live simultaneously (no overdubs or sequences). I used the fantastic iPad app GeoShred (by Jordan Rudess and Wizdom Music) for the first time. 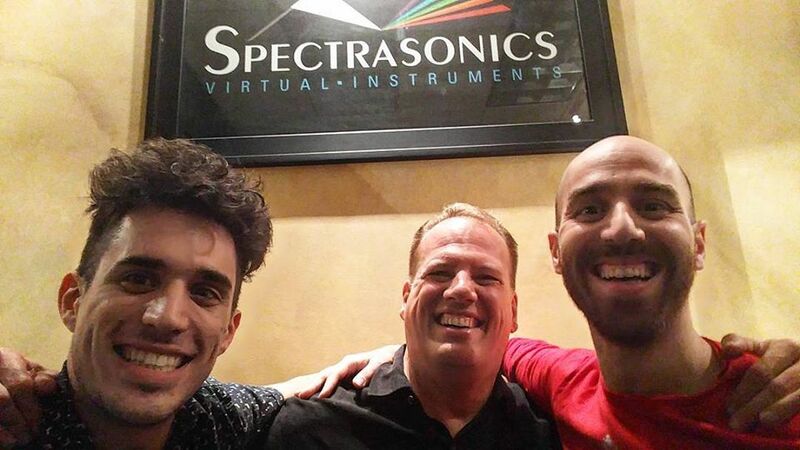 So excited to be performing at the Spectrasonics booth at NAMM this year, alongside the amazing Anomalie! I'll be playing every day at 12:15pm, 2:45 pm and 5:15pm. We just wrapped up day one and it was so much fun! if you're at NAMM, drop by the booth and say hi. Hall A booth #11602. Big thanks to Eric Persing for having me! I teamed up with The Secret Sea to record a cover of this beautiful Elliott Smith song, using Polyverse's incredible software! In this arrangement, we run The Secret Sea's vocals through Manipulator (I control the pitch of his voice with my keyboard) and the guitar through Gatekeeper (to create that awesome gated sound). If you're at NAMM 2018, catch us performing at the Polyverse Music booth (9906 B) every day! I'm so excited to introduce my new custom MIDI controller, built by controllerism expert Moldover! Check out the short demo video. Expect to see this device in A LOT of my upcoming work! If you have any name suggestions for the controller, drop a comment. I'll be performing with this new instrument for the first time at the Polyverse Music booth at NAMM 2018. Come say hi if you're there! The Secret Sea and I are preparing a cool set using the company's incredible software. Special thanks to Moldover for the incredible work, and to Synthtopia and Musicradar for featuring the vid! 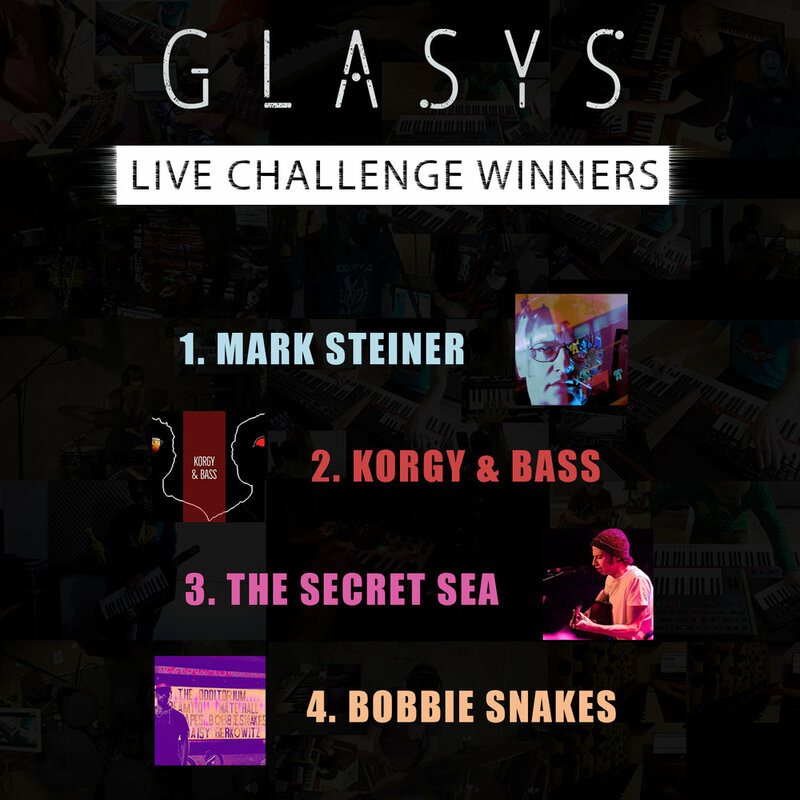 Here are the winners of the GLASYS Live Challenge! There were many amazing submissions which made it incredibly hard to pick favorites, but ultimately this IS a competition and I'm happy with my choices! Watch the winning submissions here. Congratulations Mark Steiner, Korgy & Bass, The Secret Sea and Bobbie Snakes! Huge thanks to everyone who participated, you've all inspired me! 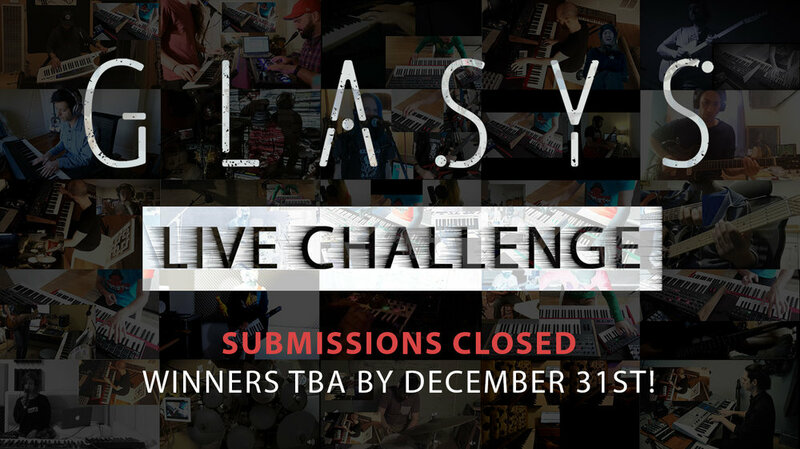 Submissions are now closed for the GLASYS Live Challenge! I received A LOT of amazing last minute videos that I'll be sharing on social media in the next couple of days. Picking winners feels impossible right now, which is why I'm giving myself 2 weeks to listen to the 50+ submissions over and over and hopefully figure out which ones I like best! I'll announce the winners by the end of the year, maybe before. Thank you SO MUCH to everyone who participated in my little experiment, and thank you to everyone who has watched, supported and shared! Introducing the GLASYS Live Challenge! I'm really excited to introduce the GLASYS Live Challenge! This is a live video contest for ALL musicians with some AWESOME prizes which include a brand new Korg Minilogue Analogue Synthesizer, a Moog 108M Clusterflux and merch from Dave Smith Instruments. Check out the introduction video and rules HERE! 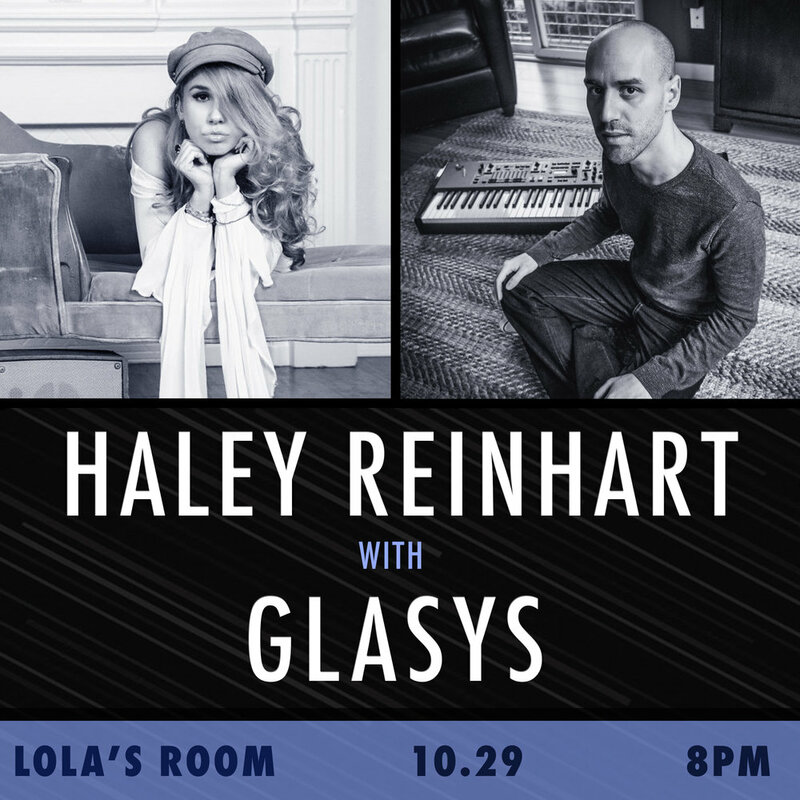 In exactly one week I'll be opening for the incredible Haley Reinhart at Lola's Room (The Crystal Ballroom), really looking forward to this one! Joining me on stage will be two of Portland's finest musicians - Micah Hummel on drums and Alex Meltzer on bass. I combined a couple of ideas from my Finger Twisters video into a complete piece, and recorded a live piano version using Nord's "Mellow Upright" sample (my favorite). I'm planning to record an electronic version of this tune on my next album. Hope you enjoy! The comments on my Game of Thrones live cover inspired me to create a proper mashup of two of my favorite TV show themes - Game of Thrones and Stranger Things. I had a blast recording this and recreating the sounds using my DSI Prophet 6 and Nord Stage 2! You can download a free MP3 from here. The video was produced by the amazing John Thompson (Ballooga Media). I had a blast working with T-Pain in the studio over the last few days! He's a seriously talented musician and a great guy, I'm stoked to have had the opportunity to collaborate with him. Can't wait to share some of the sounds we recorded... but in the meantime, check out the Instagram videos he posted from our sessions, and this cool article on Hot New Hip Hop! I'm a big fan of Game of Thrones (like most people in the world, I guess :P ) and I got so excited about the upcoming season that I simply HAD to do a live cover of the theme (composed by Ramin Djawadi). Hope you enjoy! You can download a free mp3 of this performance here. Last night I had the privilege of opening for The Avalanches at one of the best live music venues in Portland, The Crystal Ballroom. The crowd and energy were amazing, thanks to Soul'd Out Productions and everyone who came out for a truly magical experience! This post is overdue, but these last few days have been so crazy and overwhelming (in the best way possible) that I didn't even get the chance to update my website! For those who don't know, a few days ago I posted a new video where I jam to a T-Pain song on Reddit. The video reached the front page, went viral with over half a million views on YouTube, and received a crazy amount of press including a feature on the GRAMMY's website! I'm utterly blown away by the response and would love to thank everyone who has shared/supported/purchased my music in the last few days from the bottom of my heart! I'm really excited to be opening for the incredible Jacob Collier this Sunday (April 23rd) at The Alberta Rose Theatre! Doors open at 7pm. Tickets are going fast, get yours here before they're gone! Update: The Soul'd Out Festival show at Holocene was cancelled by the headliner due to a medical emergency, but I'll be joining the bill at the Star Theater with Ghost Note and Coco Columbia on April 20th instead! You can grab some tickets HERE. Soul'd Out Festival and Seattle show! I'm honored to be part of Soul'd Out Festival's lineup this year! I'll be playing on April 19th at Holocene with the talented Blossom and the amazing duo from NYC, Denitia and Sene. Get you advance tickets HERE! I'll also be returning to Seattle on April 2nd for a show at The Substation with local bands Fian and Ida Bay. Always a pleasure playing in that beautiful city! You can find more details on the Facebook event page.